There are few elements of a structure that are more revealing of the character and beauty of a structure than its windows. Like eyes on the human face, it is the first part that we notice without even realizing. There is nothing like a beautiful set of eyes on a person and the same is true of windows on a structure whether it is your home or a wonderful period structure. The window replacement industry would have you believe that ripping out those old windows and replacing with the vinyl replacement will solve all your energy problems. The reality is that most original windows can be made as energy efficient as a new window and with periodic maintenance will outlast replacements several times over. The replacement industry thrives on our need for an immediate solution to a problem without thinking through the unintended consequences. Some European countries are beginning to fight back by outlawing vinyl windows replacement in many historic structures particularly municipal and federal buildings. 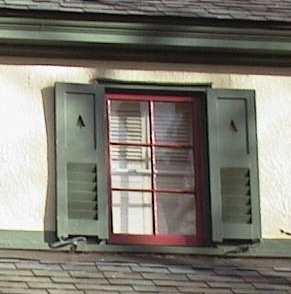 The primary reason is the destruction of the beauty and quality of the original window. 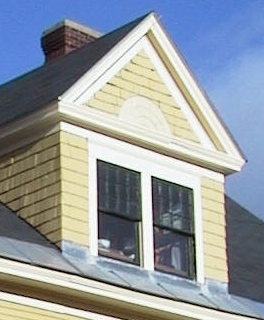 The original windows lasted for 100 + years and with full restoration can last 100 more. Once old windows are removed they are lost forever. Be a part of preserving our rich heritage.